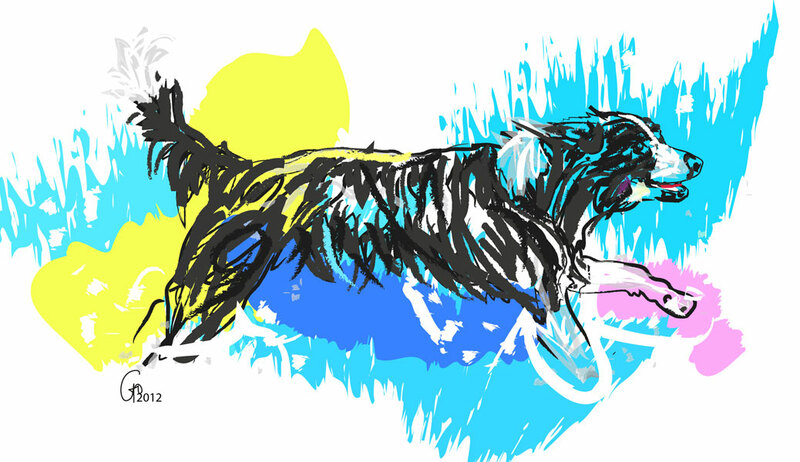 In this commissioned artwork, I captured the playfulness of this dog. Running through the water, like there is no tomorrow. Just now, Play. Dog, Dogs, Dog in Water, Dog running in water, Dog Art, Dog Painting, Dog Painitngs, Digital Dog Art, K9 Art, Canine, Canine Art, Dog Running in Water by Go van Kampen.